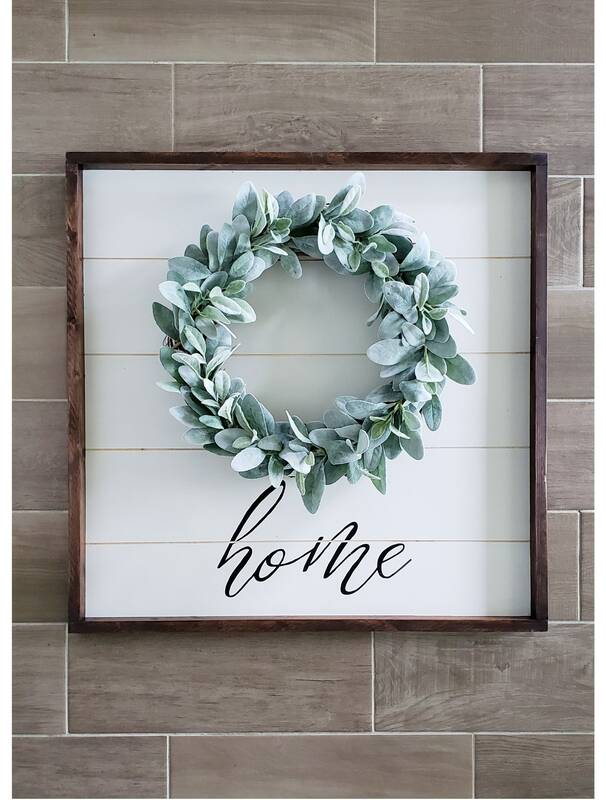 You'll fall in love with our hand-crafted Shiplap Frame with our hand-made Grapevine Wreath & hand-written "Home" sign. Choose from many different kind of wreaths available. 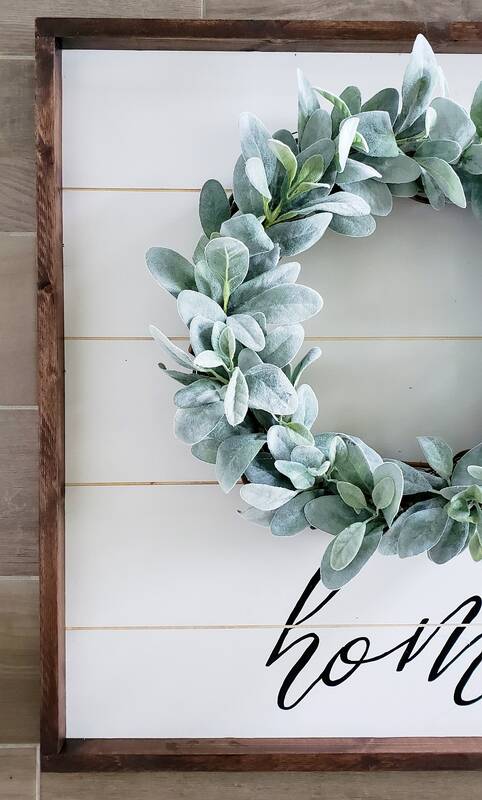 The wreath is attached to the frame and can easily be removed and replaced with different wreaths for different season. 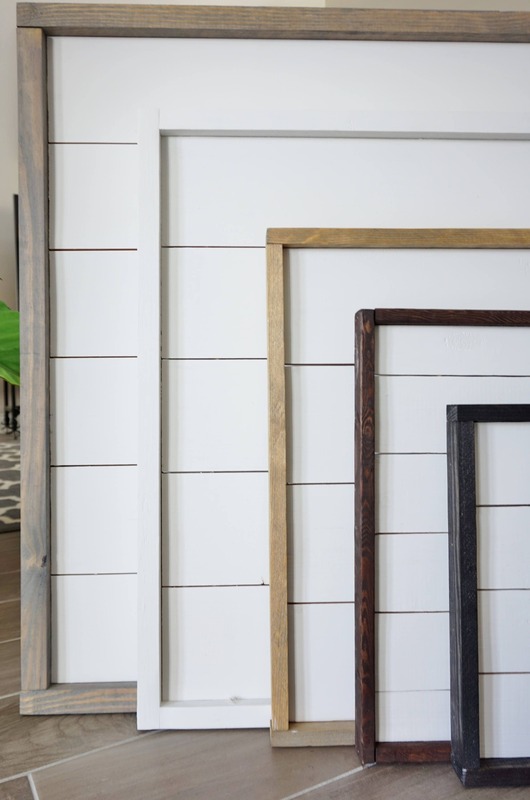 Our Shiplap Frame comes in 5 different frame stain color. All materials that we use are personally hand-picked, meticulously inspected & hand-crafted by us. 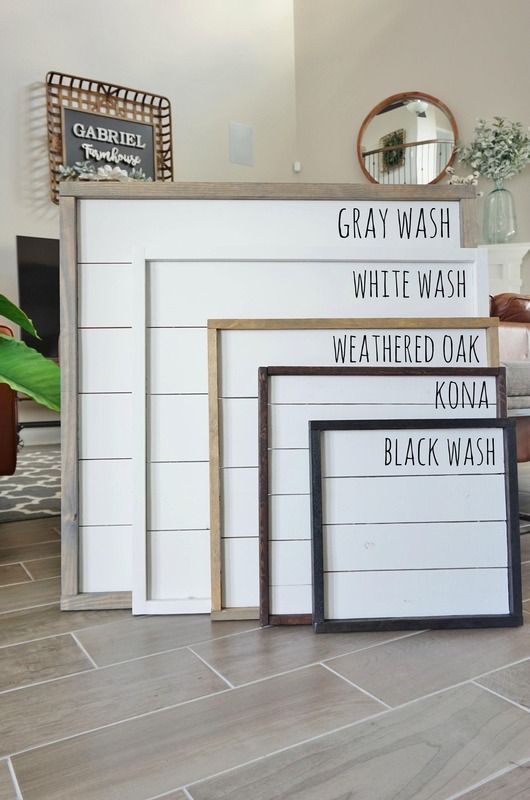 ***PLEASE NOTE: The arrangement shown is a large 30x30 Shiplap frame with an 18" wreath. 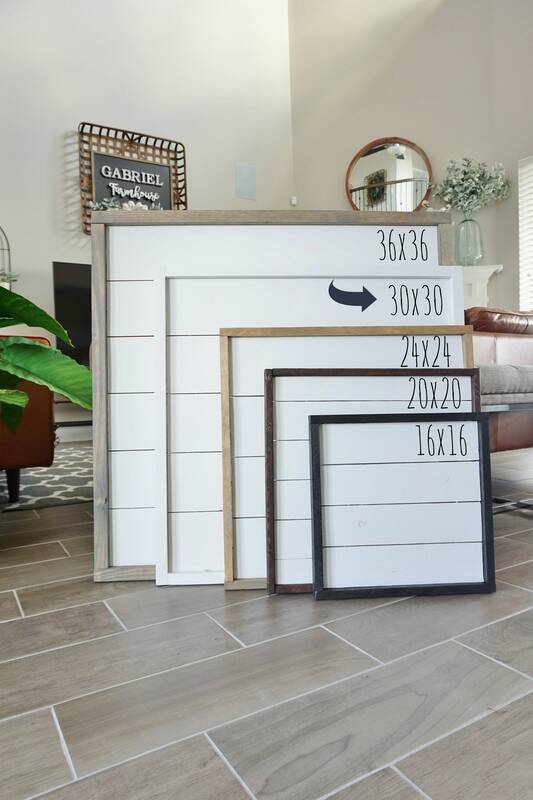 - Shiplap Frame: 20" x 20" x 1.5"
- Shiplap Frame: 24" x 24" x 1.5"
- Shiplap Frame: 30" x 30" x 1.5"
- Shiplap Frame: 36" x 36" x 1.5"
These shiplap framed wreaths will surely add that farmhouse feel to your space!